Academics from the Division of Optometry and Visual Science have been writing the optical chapters of the world famous Gray’s Anatomy for over a quarter of a century. Brought to wider attention by the popular American TV show of the same name, current optometry academics Professor John Lawrenson and Professor Ron Douglas from the School of Health Sciences continue to write and edit the eye and orbit chapters and will be attending the launch of the 41st edition at a reception at the Royal College of Surgeons this week. 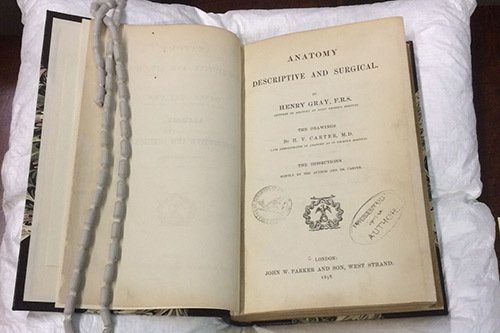 Anatomy; descriptive and surgical with text and dissections by Henry Gray and illustrations by Henry Vandyke Carter was first published as a relatively slim volume in 1858 and was an immediate bestseller. 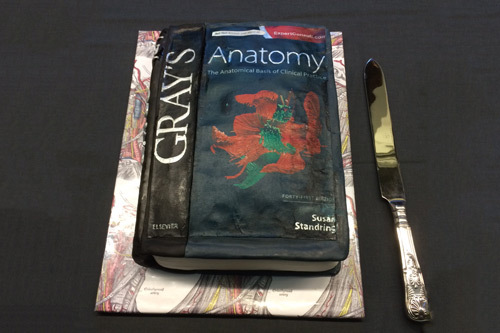 It has been known, if not always loved, to generations of medical students throughout the world as simply Gray’s Anatomy and has never been out of print in either the UK or America since its initial publication. Arguably, it is the most successful and influential textbook ever written. Gray died at the age of only 34 of smallpox just after the second edition was published in 1861. However, such was the popularity of the book that it continued to flourish and has been rewritten on numerous occasions and now covers over 1,500 pages. The most recent editions contain none of the original author’s drawings or text. Such is the breadth and detail of its content that its 85 chapters are authored by 77 scientists from around the world. The Optometry department of City University London has long been a centre of excellence for ocular anatomy, most recently due to the efforts of Professor Gordon Ruskell. Not surprisingly, he became one of the section editors of Gray’s Anatomy and the author of two chapters on the eye and visual system for editions in the 1990s. “Following Professor Ruskell’s death the authorship of Gordon’s chapters passed to John and I,” said Professor Ron Douglas. “We subsequently rewrote and updated Gordon’s original chapters for the 150th Anniversary edition (the 40th) of Gray’s Anatomy in 2008, including many of Gordon’s unpublished drawings and microscopic images generated at City and used to teach our students. John and Ron’s contributions can be seen in chapters 41 and 42 of the 41st print edition of this classic book.